The Pinarello Super Record Special is for sure one of the best racing machine which ever left Giovanni Pinarello’s factory in Treviso, Italy. 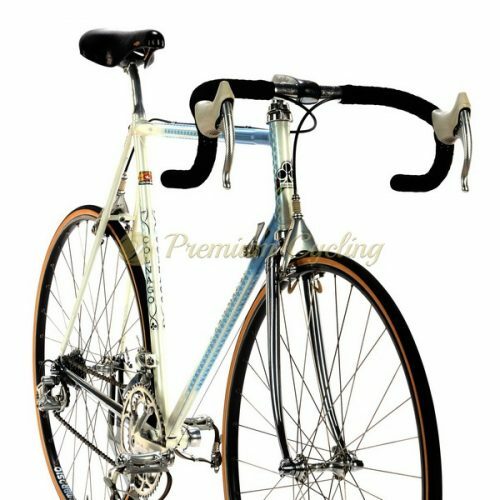 The ”Special” was their top model from mid 1970s until 1983 (when the Montello SLX was launched) and basically the frame with which Pinarello started to dominate on cycling races around the globe. 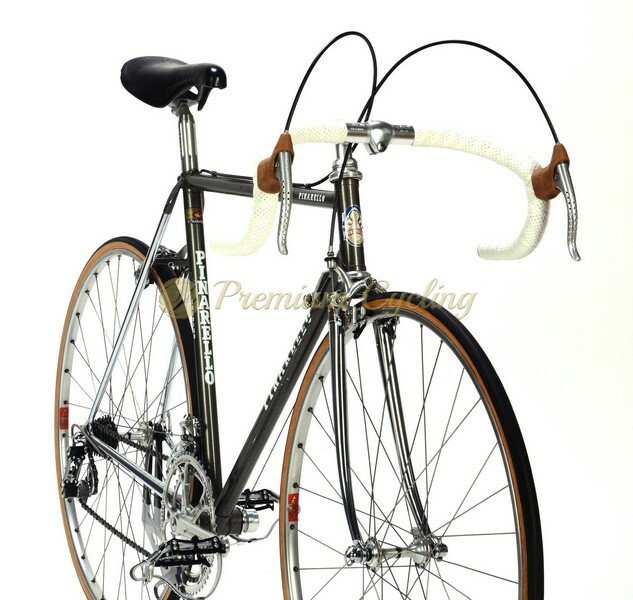 Happy to present another iconic racing machine from late 1970s – Pinarello Super Record Special. Completely chromed frameset is made of lightweight Columbus SL tubes and is easily recognisable by ”GPT” (Giovanni Pinarello Treviso) engravings and famous Pinarello head badge on head tube. Amazing dark grey metalic paint job fits perfectly for this beauty and only top of the line components are good enough: Campagnolo Super Record groupset (Pat.78) with pantograph chainring, seatpost and shifters, Cinelli cockpit, Mavic rims, San Marco Concor saddle. No much words needed. Great catch for all Pinarello lovers any vintage bike collector. Original condition. Ready for L’Eroica ride. Condition: Used, but very good condition. The frame has no cracks, no dents and is not bend. Original paint. Some signs of normal use. Groupset, wheelset and chrome are in excellent condition.